The Federation of Small Businesses (FSB) is the UK's largest campaigning pressure group promoting and protecting the interests of the self-employed and owners of small firms. It relies on market research to represent the views of its members. "The findings of our infrastructure survey clearly identified the priority issues for our members. PFA shared a mutual understanding of the requirements; we very much felt they understood where we were trying to get to." 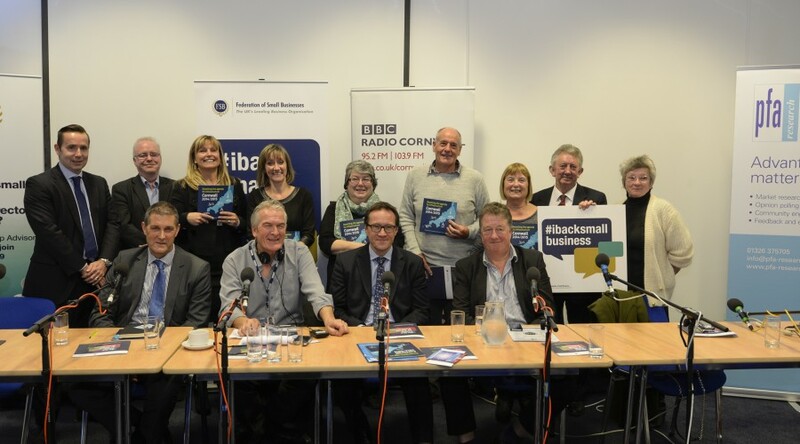 The Cornwall branch of the FSB launched its Year of Infrastructure campaign with a major survey canvassing the views of members on whether the local transport and communications infrastructure was fit to support their business needs. Statistics showed that investment in Cornwall was significantly lower than other parts of the UK and the FSB wanted to test if this was hampering business productivity. The importance of this survey meant that a significant sample size was required, along with in depth understanding of any issues. An online survey and telephone interviews were conducted to collect over 460 detailed accounts from local businesses, which provided rich insights into the problems being encountered and the tangible impact this had. A list of ‘top ten’ key priority issues for the future were ascertained. The results were published and distributed amongst the business community and local media. A follow up ‘question time’ event was conducted with over 100 business representatives and senior panel members representing the air, rail, road, ICT, and shipping transport links to highlight and discuss the key issues to take forward. The research study provided tangible evidence to allow the FSB to lobby for more infrastructure investment in Cornwall. It is expected to act as a catalyst in informing the strategic priorities of the Local Enterprise Partnership and other local government organisations.